Specialist road and footpath data collection services and technology . Do you need to know the location, type and severity of every individual fault on your footpath network? 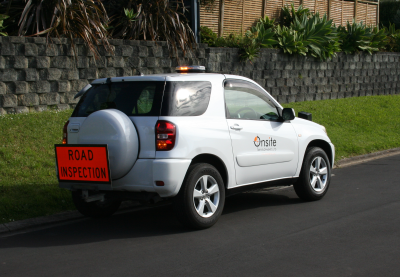 Does your Road Corridor Maintenance Contract require regular, pro-active network inspections? 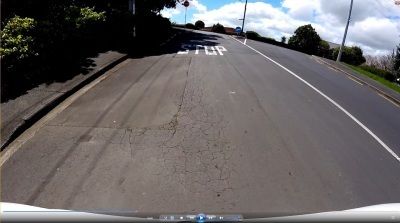 Does you Resource Consent require the road surface to be maintained in its current condition over the course of your project? Our footpath inspection system "Vigilant" consists of a 50cc moped combined with innovative data entry software. We can inspect large footpath networks consistently with a single inspector, recording over one thousand individual footpath faults per day. 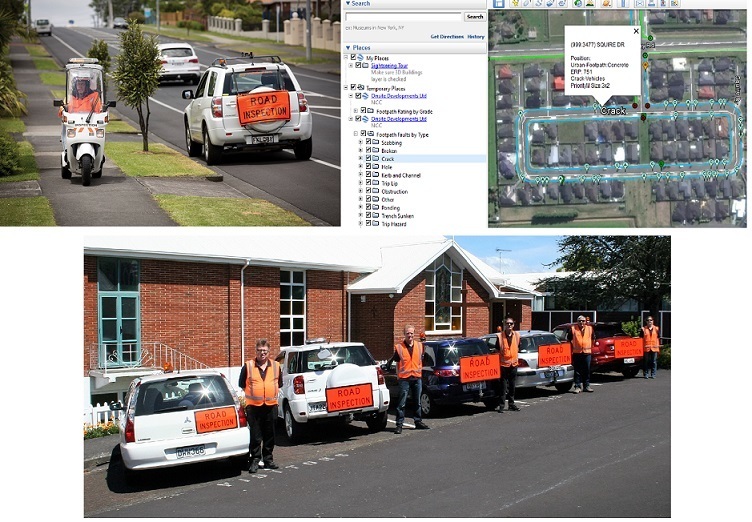 Onsite Developments Ltd has developed a unique inspection tool that allows fault recording of all road corridor assets with one inspector driving the normal speed of traffic. We can provide an independent and objective survey of the current road surface condition. We record, measure and prioritise current defects along with video capture as a baseline for future reference.